While there have been individual soloists who use the steel drum as a lead instrument in different jazz contexts, Kalabash is distinctive as a jazz sextet that is built around the sound of this unique instrument, and that is focused on performing original material. The combination of reeds and flute with the steel drums gives the group a special sound that has made the band a hit with festival audiences. Formed in Toronto in 1993, the group has established a great performance record in that city and beyond. Live performance highlights include: the Molson Stage, Harbourfront’s contribution to the du Maurier Downtown Jazz Festival, Toronto (1994); the Super Dome, Essence Magazine’s 25th Anniversary Music Festival, New Orleans (1995); the Beaches Jazz Festival, Toronto (1995 and 1996); a concert with Marjorie Whylie, famed Jamaican folklorist and jazz pianist at The University of Toronto’s Faculty of Music (2000); CD launch concerts at the Pelican Inn and Naparima Bowl in Trinidad and Tobago (2001); and a CD launch performance at the Berlin Club, Toronto (2001); the opening performance for the Barbados Jazz Festival (2002) at Sunbury House; an appearance at the Island Club, Ontario Place in the JazzFM 91 Summer of Jazz series (2002); and more recently, appearances at the Distillery Jazz Festival, Toronto (2003) and the CIBC stage at Harbourfront, Toronto (2003) in the Island Soul programme. Kalabash has been featured in a one hour TV show on BRAVO! TV’s “Jazzman” series (1995) that was syndicated and aired extensively on Black Entertainment Television’s “BET on Jazz.” The band has also been featured in two BRAVO! TV videos of original music, taped in 1998, and a video of its performance in Trinidad and Tobago at “Jazz Artists On The Greens 2010″ where Kalabash headlined. 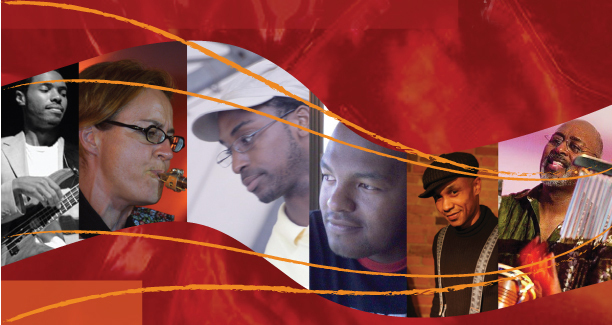 The sextet has released two CDs to date, and is now actively marketing itself to jazz and world music festivals in North America and across the globe.